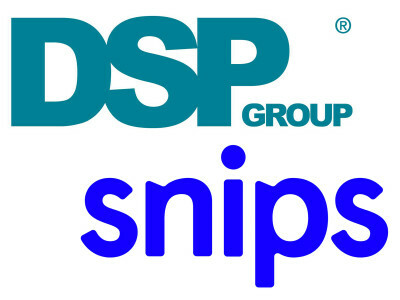 DSP Group and Snips, the European pioneer in embedded voice recognition software, announced a technology partnership which combines Snips’ voice software with DSP Group’s Ultra Low Energy (ULE) system-on-chip (SoC) and modules. According to the announcement, this combination of software and hardware running over the ULE network extends the reach of natural voice-controlled edge devices and could become a natural choice for multi-room smart home and smart building applications. 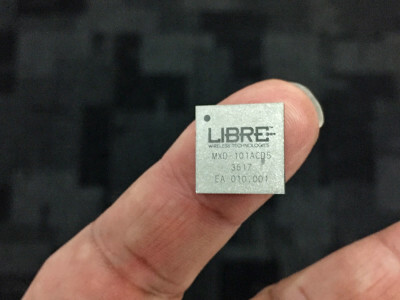 Leading embedded wireless voice/AI solutions provider Libre Wireless Technologies announced that its MAVID (Multiprotocol, Audio, Voice, IoT Device) super compact, ultra-low power mic-to-cloud platform and software SDK, now supports the Alexa Voice Service (AVS) built-in. The breakthrough platform incorporates a complete hardware and software solution for embedded voice, IoT, audio and wireless connectivity, and now features integrated AVS. 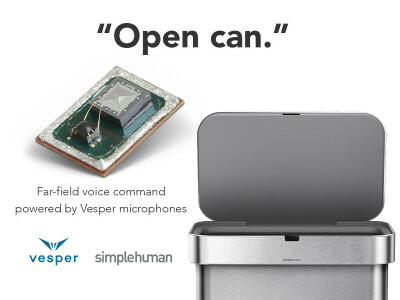 Vesper announced that its piezoelectric MEMS microphones will be embedded in the voice-activated sensor trash can from luxury housewares designer simplehuman. 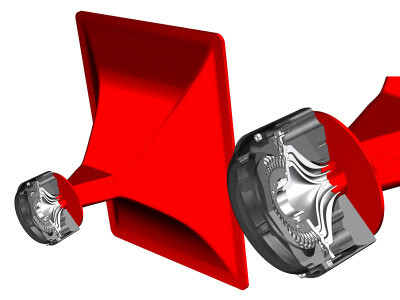 The brand will introduce the next-generation of its voice-activated Sensor Can range at CES 2019, providing an excellent example of an implementation that needs to be low-cost, low-power, and robust in any environmental conditions. It needs to support simple voice controls in any circumstance, in exactly the type of product that users appreciate not having to touch. 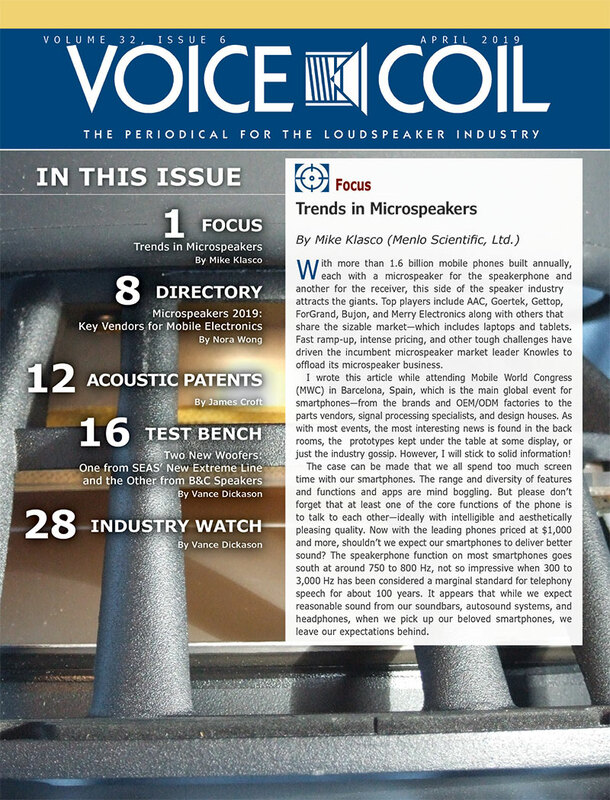 The first step companies face in enabling a voice user interface (VUI) experience is to decide whether to partner with a current market offering or to build a proprietary voice solution, which requires a significant amount of resources. 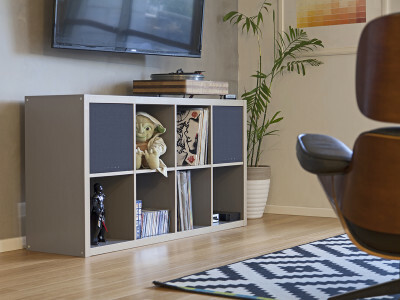 In this article, Ofer Elyakim (Chief Executive Officer, DSP Group) offers an overview of DSP Group’s experience in enabling voice in a variety of new consumer electronics devices, using its open audio/voice DSP platform. This article was originally published in audioxpress, June 2018. 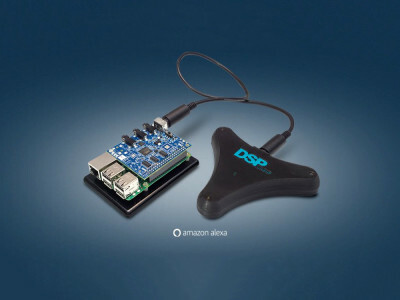 Wireless communications chipset solutions specialists DSP Group announced the availability of its HDClear 3-Microphone Development Kit for Amazon Alexa Voice Service (AVS). 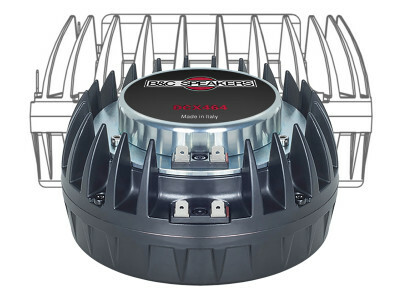 This Alexa certified solution features DBMD5, DSP Group’s advanced audio/voice processor, and its best-in-class HDClear voice enhancement processing technology, creating a complete development platform for low-power applications, including smart speakers, wearable computing devices, smart home devices and remote controls. 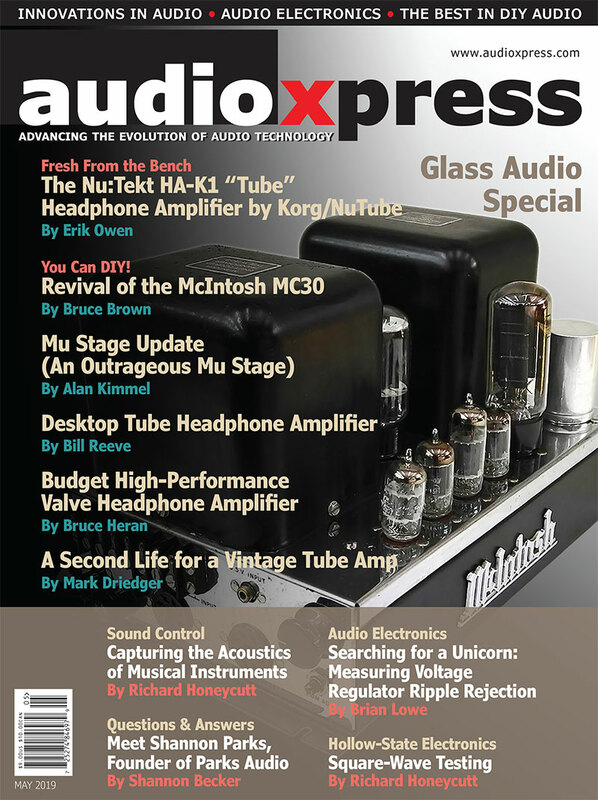 The June 2018 edition of audioXpress is now available. 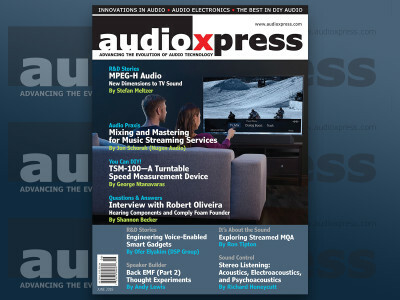 In this edition, read how MPEG-H audio is introducing new dimensions to television sound, how to deal with mixing and mastering music for music streaming services, and how to design new voice-enabled smart gadgets. 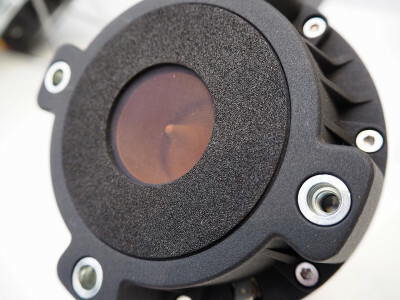 You can also build a turntable speed measurement device, and learn more about MQA streaming. And be sure to read the interview with Robert Oliveira, the founder of Comply Foam. Get your issue now. 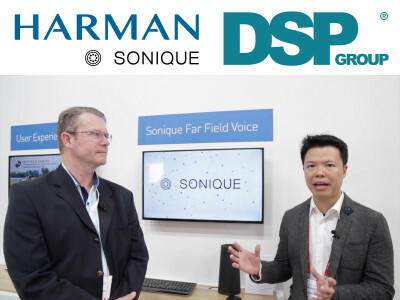 Voice UI chipset specialist DSP Group, and Harman International, a wholly-owned subsidiary of Samsung Electronics, announced their cooperation implementing voice input technology, based on DSP Group’s SmartVoice Audio/voice SoC and HDClear far-field multi-mic algorithms. The cooperation will enable expanding Harman's Sonique Total Voice Solution platform into a new generation of voice-enabled products. During the IBC 2017 show in Amsterdam, Internet of Things (IoT) services provider Greenwave Systems introduced the Philio-Tech voice assistant, which is powered by DSP Group’s ULE and SmartVoice technologies. 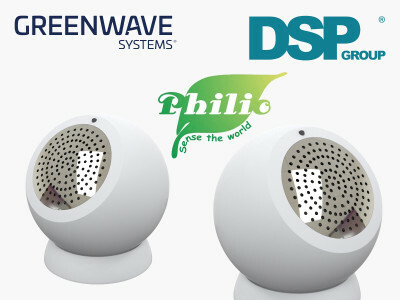 Philio’s Voice Assistant unique battery operated device uses Greenwave Systems platform to enable voice queries and two-way voice, to power home automation services, real-time communications, and network connectivity. 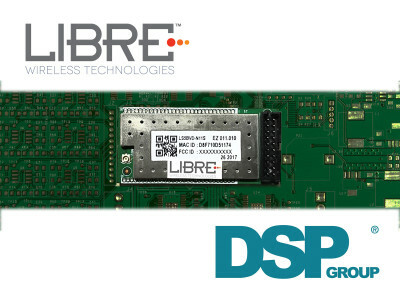 Libre Wireless Technologies announced the launch of their new LS5BV LibreSync module featuring fully integrated and optimized far field voice interface capabilities as well as extensive music streaming and multiroom audio features. 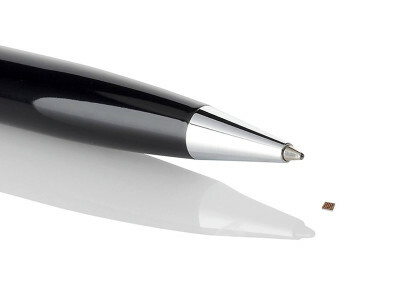 This small and low power mic-to-cloud module uses DSP Group’s SmartVoice technology and HDClear SoC with sophisticated algorithms for detecting and processing far field voice, including advanced noise reduction, echo cancellation, music barge-in and audio processing features. 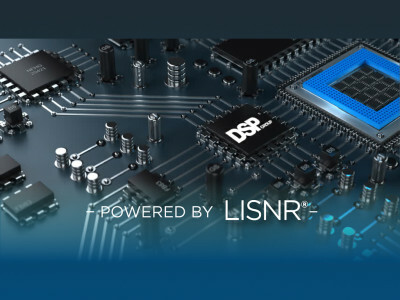 Wireless communications chipset specialist, DSP Group and LISNR, a global provider of data-over-audio technology, developed the Audio-D, a solution that supports data-over-audio communication for any device with a speaker or microphone. This solution, based on DSP Group’s DBMD4 Voice SoC and LISNR technology, overcomes device-to-device hardware restraints regarding RF protocols. This enables always-on communication and high level of interoperability while consuming low power.